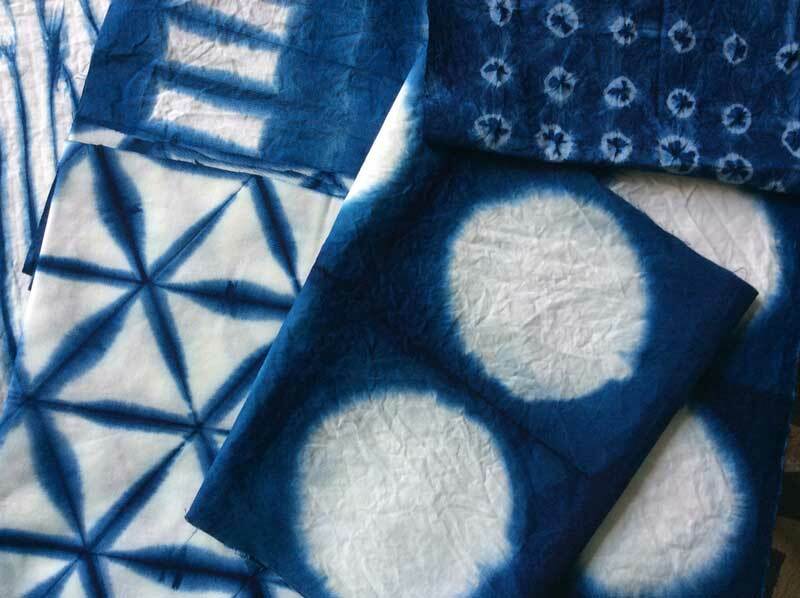 An introduction to the world of Japanese resist-dyeing using traditional shibori techniques. Fold, clamp and stitch cotton and silk fabric for indigo dyeing to make your own scarf or wrapping cloth, pocket square or handkerchief in the brilliant blue that only indigo can produce. One-day class suitable for beginners. Class fee includes all materials. NOTE: This class will be at Abbotsford Convent & to celebrate our first class there an early bird class fee of $150 for bookings paid for by 31 May 2019! !